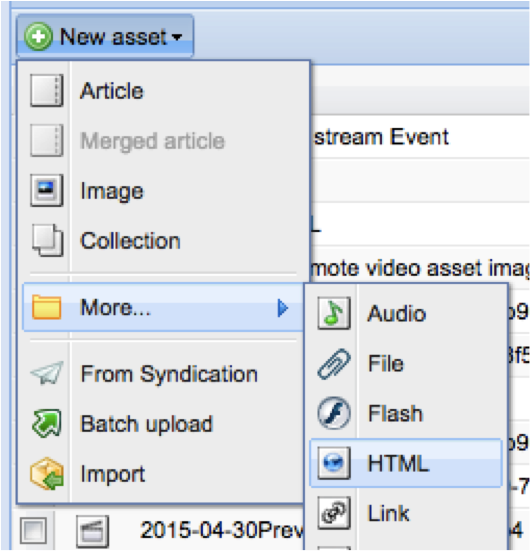 This document is a guide to setting up Field59 live stream Events and Channels in the BLOX content management system, with a focus on items that need to be configured in order to more quickly publish in breaking news situations. 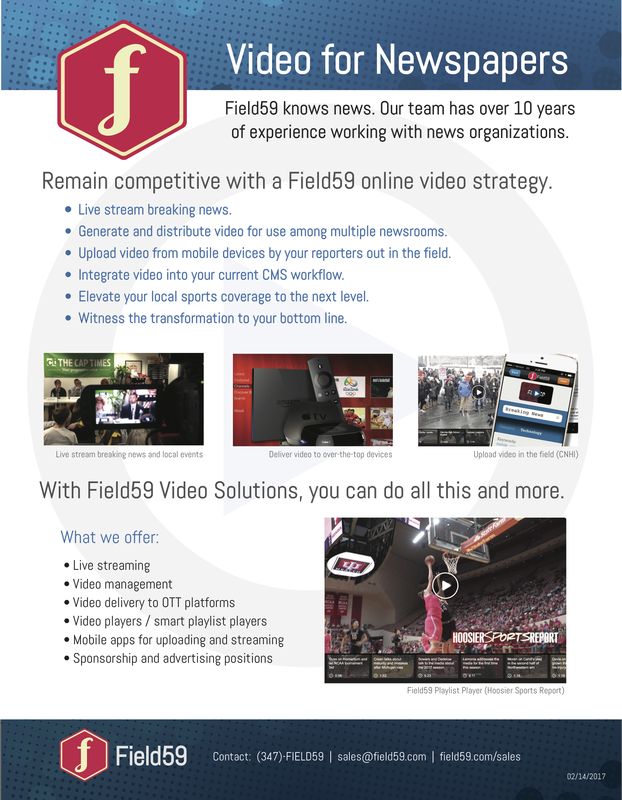 The Field59 video management system offers flexible configuration options for users live streaming. This document goes through several possible workflows. There are three different methods of publishing a live stream: One-time-use Events, 24/7 Events, and using Channels and Events together. 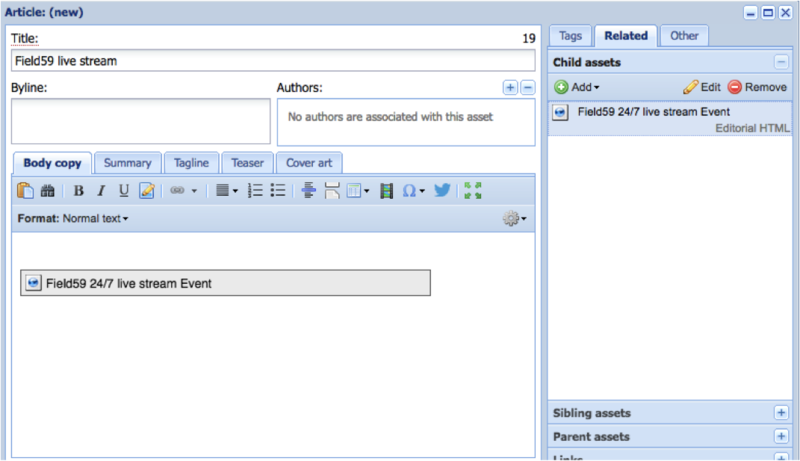 At a basic level, you can publishing any individual piece of live programming, that has a specific start and end time, by creating an Event in FIeld59 and associate it with an Asset in BLOX. To do this, first create your Event in Field59. Next, copy the embed code for the Event. To copy from the calendar view, click on the Event to view the event details, and then click on the “Embed” button near top right. 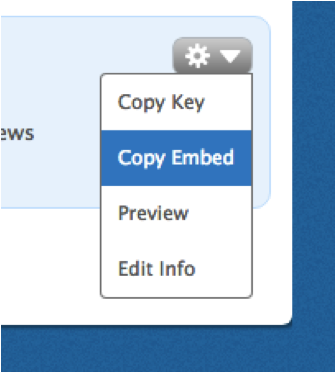 To copy the embed code from the Event list view, either hover on the item and click “Copy Embed” from the gear dropdown on the right, or click on the Event and then click on the “Embed” button near top right. 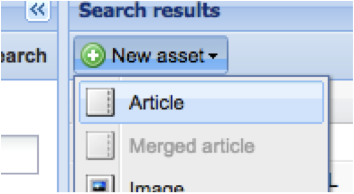 Next, go into BLOX and create a new Article asset. Under the Related tab, choose New > More Editorial > HTML. 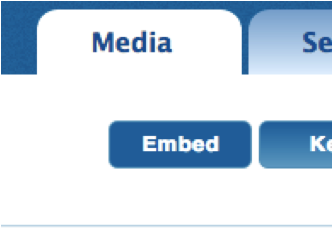 Paste the embed code for the 24/7 Event. Save the HTML asset. 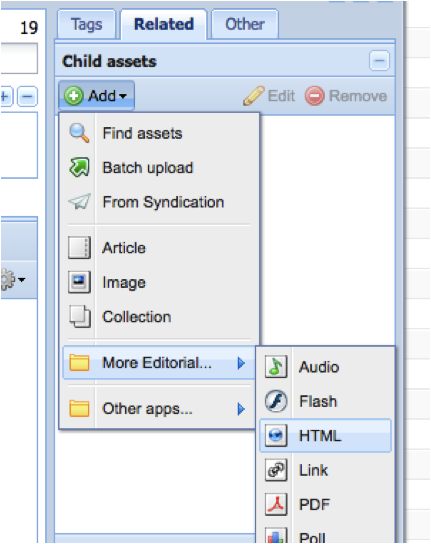 Save and close the HTML asset popup, then drag the HTML asset inline into the Body of your Article asset. It’s recommended to always use an HTML asset inline in an article — Copy-pasting code directly into an article can fail or display unpredictably. Finally, target the asset to the section where you want it to live, save and you’ve created your asset. You can set up an Event inside an HTML Asset in BLOX that is “always on” and therefore, whenever published in BLOX, the player is already always available for the end viewer to access and view your stream content. To do this, set up a 24/7 live stream in Field59. To do this, create an Event like normal, but leave the End date/time blank. Do not set this event to record. Upon saving, it will create an event/player that is always active from the moment the user hits save. You can easily view this by clicking on the calendar view under Events). 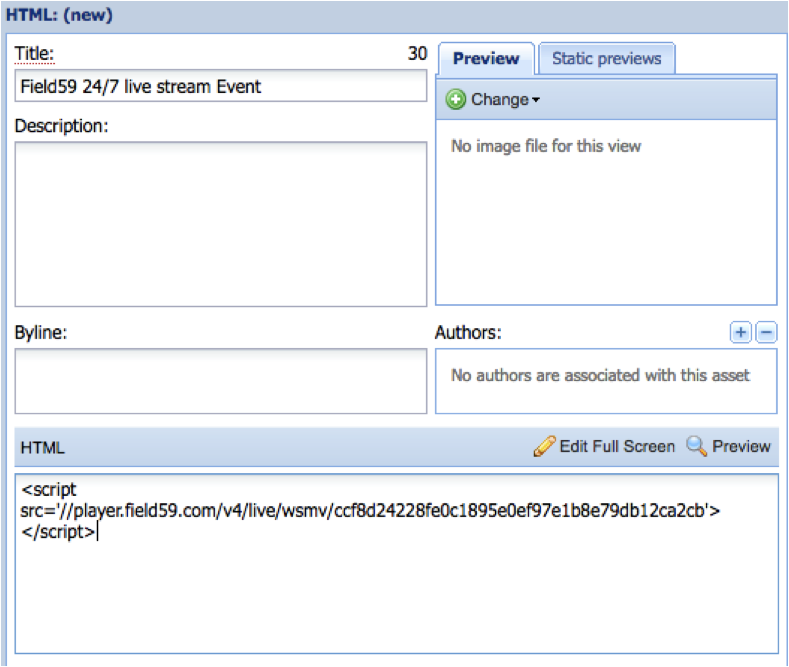 Next, copy the embed code for the 24/7 Event you just created. To copy the embed code from the calendar view, click on the Event to view the event details, and then click on the “Embed” button near top right. Go into BLOX and create a new HTML asset. If you leave your HTML asset always published, a viewer who finds this asset on your site will always be able to view your live stream. This may or may not be desired depending on the content you are sending to the encoder in non-breaking news situations. If you’d like to limit viewer access to your Field59 live stream during non-programmed times, read on for an alternative workflow. 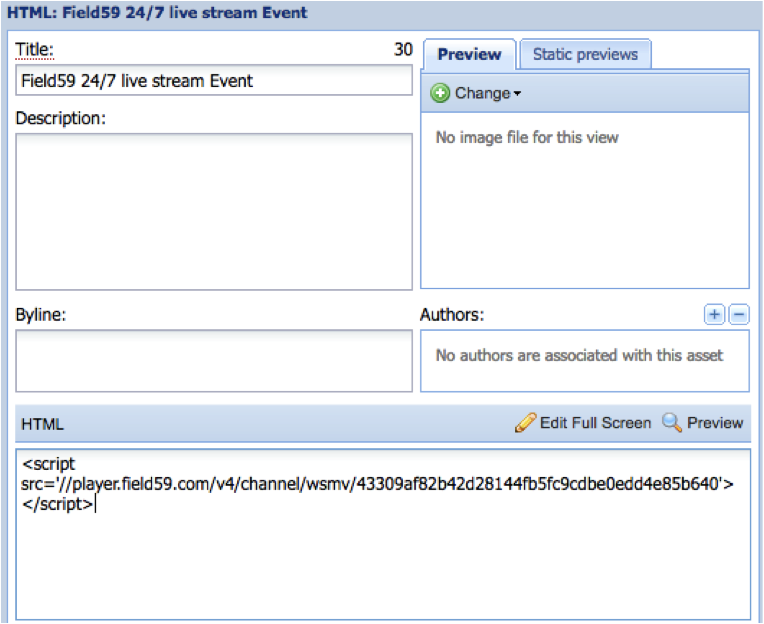 Another method would be to set up a Channel player in Field59 and publish it via BLOX. A Channel player is a playlist of Events. The Channel player is only active when there is an active Event publishing to that Channel. To do this, create your channel and set it to look for a distinct keyword that you’ll be adding to all your breaking news events (such as “breaking”). Next, create your one-time Event in Field59. Add the distinct keyword that you set in your Channel, so that your Event will publish to that Channel. Copy the embed code for the Channel. To copy the embed code from the calendar view, click on the Channel and then click on the “Copy” button near top right. To copy the embed code from the Channel list view, either hover on the item and click “Copy” from the gear dropdown on the right, or click on the Channel and then click on the “Copy” button near top right. Paste the embed code for the Channel. Save the HTML asset. Finally, publish the HTML asset containing the channel embed code somewhere that you can easily use/link to from other places (Article with Child asset, Block on a section, etc). If you do all of the above once, then all you’ll need to do to drive traffic to a Field59 live stream each time you have a breaking news situation is create an Event in Field59 with a keyword that matches the keyword you set your Channel.